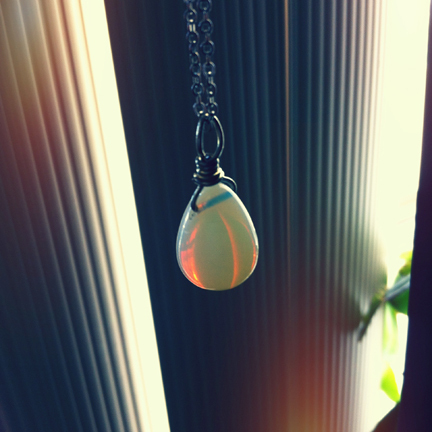 This time it carries two opalite beads that I ordered from Kerrie Berrie, a very friendly bead shop in Brighton. Not that I’ve been there in person (I wish I could be there in person), but the shipping was fast and when I had questions they replied right away. Very friendly services. 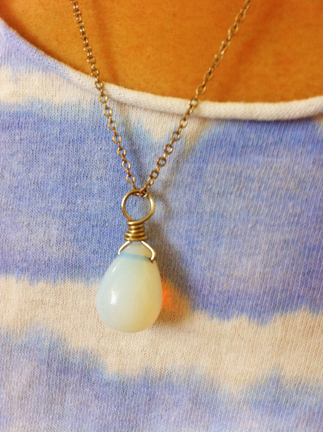 And they have teardrop‐shaped opalite beads! 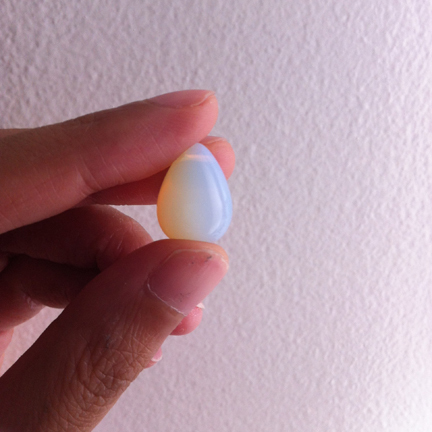 I’ve been looking for opalite beads in this specific shape for a long time. The local bead stores don’t seem to have them. Of course I could get a string of like 100 on Etsy, but I don’t need that many. (Well, Etsy shops would probably sell them in a string of 10 or something, I was exaggerating. But I don’t even need 10) I just wanted one to make a necklace with. So I just kept looking every time I go to a bead store, hoping it would wondrously appear in front of me in a bead tray one day. And finally a necklace was made, following this tutorial on how to wrap a briolette. I love opalites because they glow. Another happy news! Last Friday Sara of Illuminate Crochet posted an interview that she did with me :D Feeling so grateful that Sara gave me space on her blog to talk about crochet and plush and things I love. 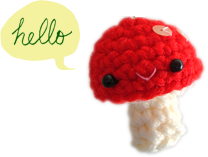 You can read the interview here, and be sure to browse around her awesome, informative blog and features on other crocheters! Why is it “Royal mail” if it’s just from Brighton in the U.K.? Just curious. Yes, over here it is called the “Royal Mail” and I am so used to it I forget we have the little crown on the postage franking and take it for granted. It is known as the Royal Mail because it was the distribution system for royal and government documents and has been around since 1660. It covered the whole of the British Empire. Hope that is interesting for you. Trish, what a lovely interview in Illuminate Crochet. Congratulations! thanks Kathryn! and thank you for explaining the history of Royal Mail! 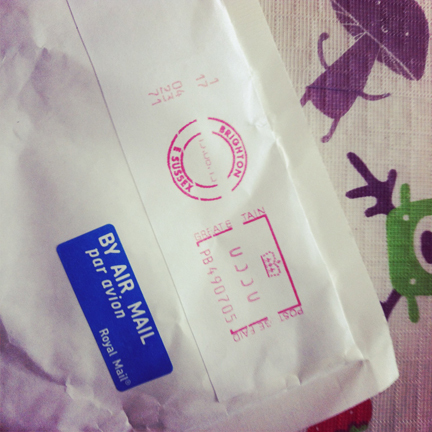 :D to us (well, to me anyway) it sure sounds more interesting than “canada post”! LOL Yeah, but Canada Post STILL sounds more interesting than USPS. :) And I loved reading your interview! Exciting! …and not just because you gave me a “shout out”! Thank you!